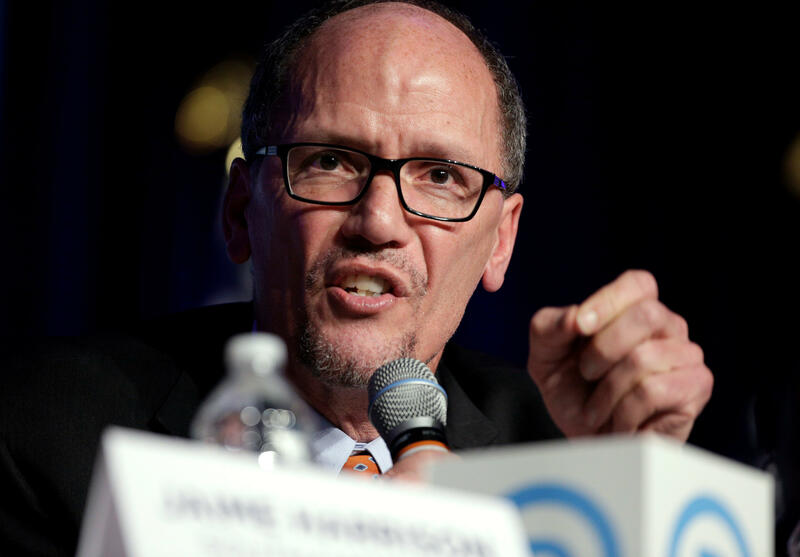 DNC to RNC: "You bear a responsibility to stop Donald Trump"
Democratic National Committee chair Tom Perez issued a stern challenge to his Republican counterpart, RNC chair Ronna McDaniel, in the wake of President Trump's remarks on Charlottesville. In a letter obtained by CBS News, Perez emailed McDaniel, calling for unity among the two parties, but focused much of his attention on calling for the GOP to rein in their party leader's rhetoric. "Madam Chairwoman, the white hoods are gone. They march in torchlight now, unafraid to show their faces. They see the president as their leader and fiercest defender," Perez wrote. "There is no denying that these white supremacists, neo-Nazis, and the Ku Klux Klan have made their home in this president's Republican Party. As chairwoman, you bear a responsibility not just to reject hateful ideology generally, but to hold accountable the individuals in your party who have allowed that ideology to flourish." McDaniel has denounced white supremacists numerous times since the Charlottesville rally. "As chairman of the Republican Party, I want to be perfectly clear that white supremacy, neo-Nazi, KKK and hate speech and bigotry is not welcome and does not have a home in the Republican Party," she said in Detroit on Monday. The hate & bigotry on display in #charlottesville is dangerous & cowardly. Perez went on to say that, contrary to Mr. Trump's Tuesday's remarks at Trump Tower, there are not "many sides to the issue white supremacy" and questioned McDaniel if she would be on the right side of history in the wake of recent racial tensions. "Will history remember your party as one that surrendered to a man who empowered neo-Nazis? Will history remember you as the chair who allowed white supremacy to spread with your party's blessing?" Perez asked of McDaniel. Perez ended his plea to this counterpart, calling for her to disavow the president, and to "unite against white supremacists and all their enablers, including the president of the United States." While not explicitly naming the president, a number of lawmakers including top Republicans have condemned the recent actions of white supremacists in the fallout from Mr. Trump's speech.